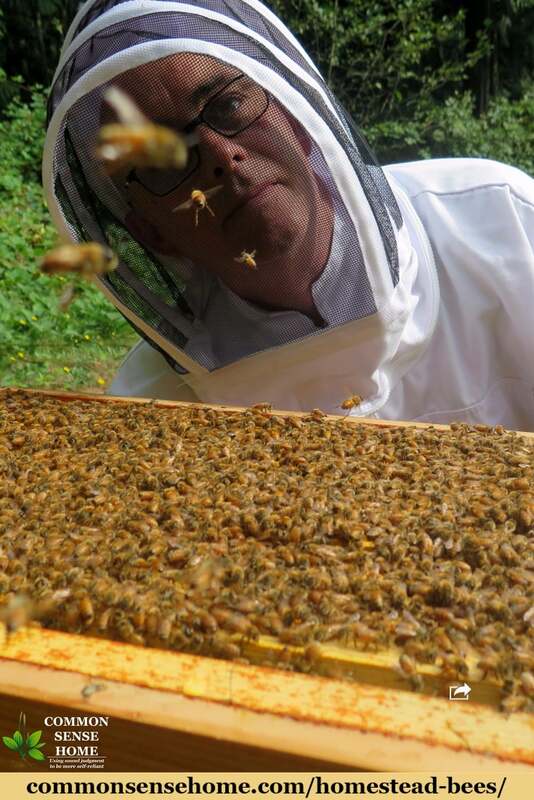 Ever considered beekeeping? Wondering if homestead bees might be a valuable addition to your yard and garden? Beekeeping is not as difficult as you might think, and there are many reasons it might be right for you and your family. As a homesteader, there are many benefits you may realize by adding beekeeping into your self-reliance skills. 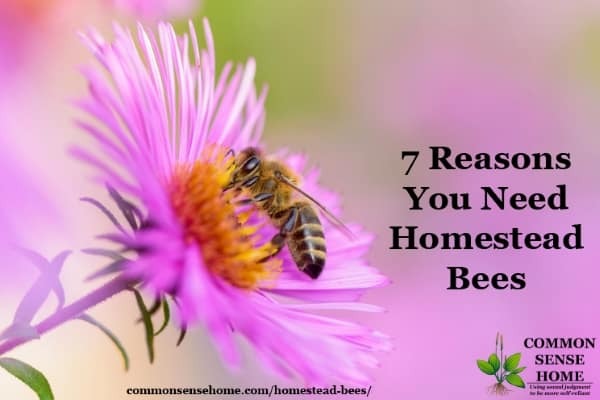 Here are 7 great reasons to welcome bees to your world. One of the most quietly beneficial creatures to all of mankind is the bee. In their role as pollinators across the globe, bees are essential to our food chain. Yet it’s no secret that bees have their challenges. In recent years, Colony Collapse Disorder, a mysterious phenomenon affecting bees worldwide, has caused alarm. 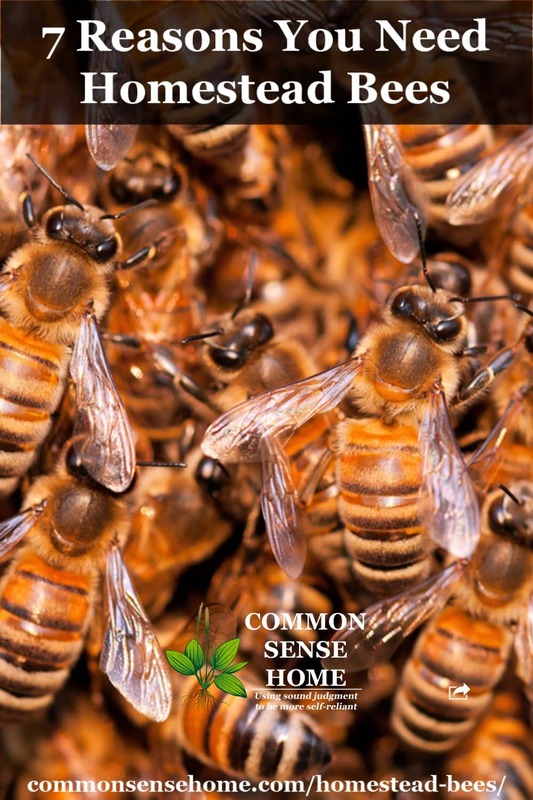 Only recently seven species of bees were placed on the endangered species list, here in the US. There are signs of hope. Science continues to make headway in understanding the underlying causes of the challenges faced by bees. Additionally, greater awareness has resulted in a growing interest in helping the bee. For this reason, beekeeping is experiencing a surge in popularity. Today, entering the wonderful world of beekeeping is easier than ever. There is easy and widespread access to hives, equipment and, yes, bees. Of course, the Internet is also a wealth of information. And while bees find a way to challenge us in their own way, setting up that first hive isn’t as difficult as it might seem – and that helps the planet! Beyond the obvious benefits pollinators offer globally, we can realize many of these at a more local level. 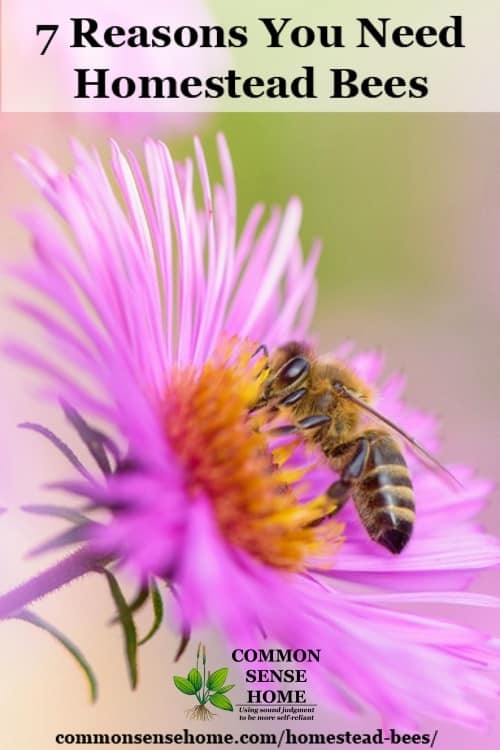 Bees’ “you scratch my back, I’ll scratch yours” relationship with flowers – which is called mutualism – is a harmonious dance that can stimulate our gardens to explode with colorful life, across the seasons. This works both ways. As bees help the propagation of flowers, they also rely on those flowers as an important nutritional resource for the colony. The gathering of nectar and pollen is a fascinating process, illustrating a wonderful collaboration across the colony. Did you know that older bees fetch the nectar while younger bees wait back-at-base (the hive) to receive these riches and to convert to honey? While bees have an obvious reason to forage, the side-effect of pollination is something we can leverage in our gardens. Indeed, the pollination benefits of a single hive can be felt far and wide, since bees will forage – and pollinate – for three miles or more from the hive. The impact of bees on fruit production in your orchard can be impressive. For example, if you grow apricots, it’s not unusual to see an increased yield of 50% or more, as compared to apricots not visited by bees. For fruits that do not benefit from wind pollination such as cherries, the results can be even more dramatic. There’s also the ongoing debate about sweeteners in our food. Honey is a natural and effective sweetener. The good stuff you might harvest from your own hives is a substantially more natural choice than the mass-marketed bottled of honey that you find in the supermarket. As to the special taste you will discover when you harvest honey, every hive is a little different. The taste, and color of honey is heavily dependent on the flowers from which bees forage. Honey might have a strong taste and be very dark, while others might be more mild and lighter. The honey you harvest from your hives will be uniquely yours – or rather, your bees’. As an matter of curiosity, bees sometimes produce purple honey! It’s very rare, commands a steep price – and no-one is QUITE sure of why it is purple. Apparently it’s delicious too! Looking to expose your kids to a new aspect of science? Just curious yourself? The way bees work together, collaborate within the hive and get through the seasons, is an amazing story. A male bee (a drone) has no father but has a grandfather? Worker bees live around 6 weeks in the summer – but up to 5 months in the winter! There are few more fascinating additions to your home than a beehive. Watching and understanding the activities in a beehive is a reward in itself. There’s nothing quite like seeing brood, in its various stages, during a hive inspection. From rice-like, tiny eggs, to larvae being fed 1,000 times per day, to “capped brood” and finally to the sight of a new bee emerging from the cell – a beehive truly is a scientific wonder. And, yes, properly protected kids can play a big role in your beekeeping activities, learning lessons about nature to carry forever. We can’t pretend that beekeeping is going to make anyone a fortune (although, as an interesting note, in some places bees are rented in the summer for their pollinating benefits, almost as a utility!). But it is true that many homesteaders generate a reasonable side income from selling honey. A note of caution is that you should not expect to install a hive and start enjoying lashings of honey within a few weeks. Bees build an important stockpile of honey as they head into winter, from which they will obtain energy and nourishment in the cold months. In your first year as a beekeeper, consider that honey just for your bees, to give them a good shot at seeing the following spring (but, yes, a small sample won’t go amiss!). In the second year and on, though, your bees may reward you – with gallons of glorious honey! Depending on the type of hive you choose, your location and other factors, it is quite feasible to harvest 30 or more pounds of honey per hive and much more in some locations. The price you might fetch is also based on many variables, but $10 per pound is not uncommon. Don’t forget beeswax too! Wax is an incredible substance too, with many uses (think beeswax candles). In short, beekeeping isn’t a financial goldmine, but it’s very reasonable to expect some income from each established hive. #6: 60,000 or More New Pets! If you think the cat, the chickens, the dog and a pig or two are fun, wait till you introduce bees into your life! What might start as 10,000 bees (one of which is a queen) in the spring can soon expand to 60,000 in the summer! Bees reproduce at a rapid rate! The queen can easily lay 2,000 eggs per day. That’s a good thing because worker bees literally work themselves to death in the summer and live around six weeks. So there’s a need for an efficient and explosive “production line”, with the queen at the heart of everything. But it’s more than just the numbers. As you care for your bees, you will soon start having empathy for them – while they probably won’t have the full emotional impact of the dog, you will start wondering about and caring for them in surprising ways. Part of this is because bees never stop surprising us. Watching hundreds of bees returning to the hive on a hot summer day is truly a sight to behold and, when you have experienced that, you will be hooked. The only drawback is given them a name each takes a while! We just call all ours “Colin” (think about it….). We’ve seen that honey is a miraculous food but many consider it worthy of a place in the medicine cabinet, too. Honey contains flavonoids and antioxidants, which are considered by many to help reduce the risk of cancer and heart disease. Oh, by the way, even the third product of a beehive, propolis (added to honey and beeswax), is considered to have medicinal benefits. In summary, amazing things happen in a beehive. For the homesteader, beekeeping offers many benefits to consider. 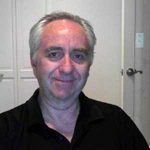 This is a guest post by Mark Williams. Mark is the founder of PerfectBee, a site which focuses on introducing new folks to world of beekeeping. Through a unique, free, 3-step plan (Learn About Bees, Your Beehive and A Healthy Beehive) PerfectBee offers a fun and structured approach to learning beekeeping. Check out PerfectBee at https://www.perfectbee.com and prepare for your first beehive. We are fairly new to homesteading and are hoping to add bees in the spring! Thanks for the info and I will definitely be checking out the course!! I was talking to a friend of mine with a large home orchard, and he said that the change he saw when they added bees was nothing short of amazing. We’ve been talking about getting a hive for a while, and have been planting a variety of trees and shrubs for additional nectar sources, so I hope next year will be the year for us, too. That’s a good thought! We have a wide variety of nectar sources but adding a few more wouldn’t hurt! I look forward to reading about your experiences! Beekeeping is such a rewarding activity. I have been keeping them for years and my students love getting involved with their hives.